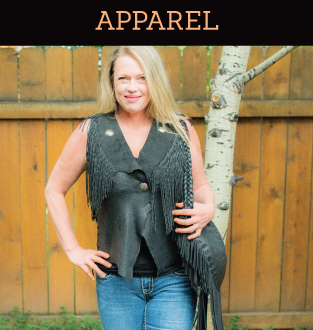 Helga’s Design produces uniquely handcrafted leather home collection, apparel and other accessories in Jackson Hole, Wyoming. Most our leather products are made with hand selected genuine deer hide. 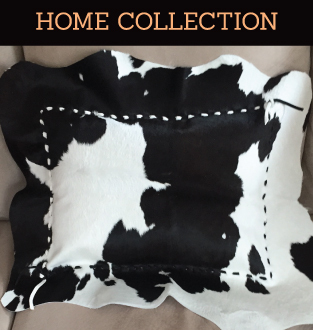 Helga puts her love for the American West into each of the one-of-a-kind pieces she crafts. 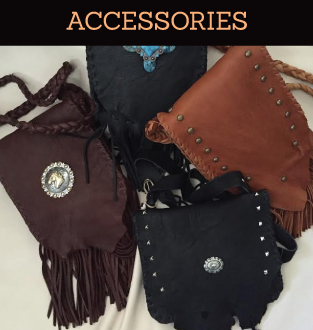 We also customize our accessories to fit your needs — Please contact us today to get your special and unique piece .